" ** I am also interested in someone who would like to trade advertising, to help me with a blog make-over....as in making this site look more appealing. :) "
I thought about it for a few days. Then I told my husband about it. Asked him what he thought about me working on her blog. I probably used "The Look". Not the stare-down look I use on my son, the look of "I'm about to get my way". If you don't know what I mean by that go watch The Blind Side. It's such a good movie. I confess I wasn't as much interested in the trade of advertising as the opportunity to work one-on-one with someone on their blog. I had already begun working on my own blog so I had an idea of what I was taking on. So, a week after her post, I contacted Sharla to express my interest. I didn't get working on her blog until March 14th. I had to wait for direction from her to take off. But once I knew the general idea she wanted for her blog I got cracking. Over the course of the next week we worked through different designs to get to exactly what she liked. It was so exciting for me. I'm more than sure my husband got tired of hearing, "Come check this out!" only to come and see nothing different. At least, not different enough for him. I can't believe that only 8 days later Sharla added me as an author on her blog for a brief hour. OK, I will confess - I was briefly tempted to announce myself as the winner of her See's Chocolate Giveaway. I didn't though, I have willpower. The install was not complete without a lot of work on her part. She had a lot of adjusting to do after the fact (we switched templates and all her side widgets got re-arranged), she also had to re-label a lot of posts for her links bar. It was work on both sides. I had so much fun though. 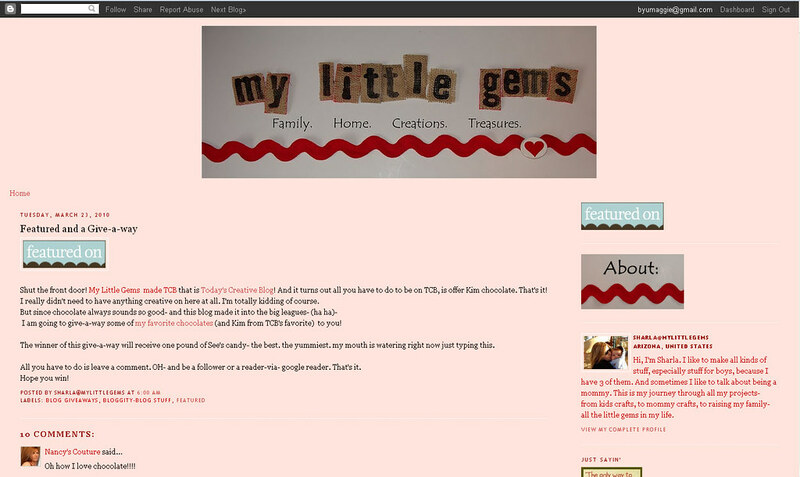 It was really exciting to see it all come together and finally get put up on her blog. After about 70 emails back and forth, a lot of coding, tweaking and several versions, this great experience came to an end. I have to say working with Sharla was a fabulous experience. She really knew what she wanted so that made my work easier. As for my future career in blog design. I'm not really sure where I'm headed yet. I'm definitely not going to take on anything for a while now considering all that has gone on in my house this week. But in the future I can see myself designing a blog every now and then. 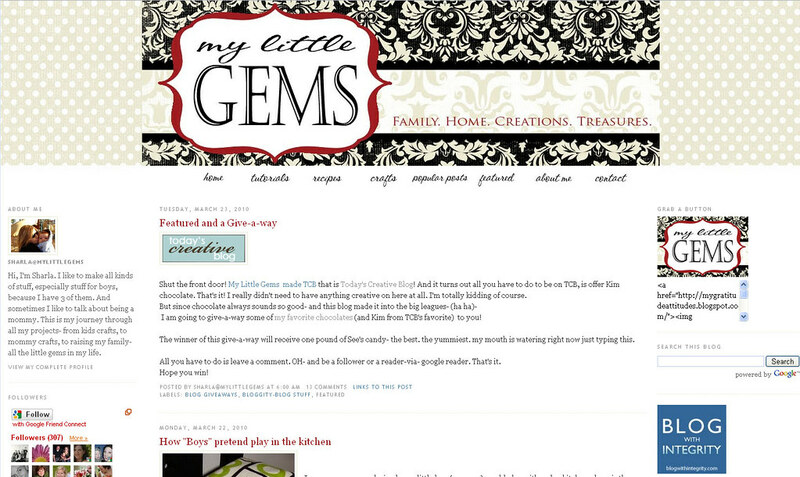 If you are interested in having your blog custom designed you can email me from my profile to see if I'm willing to do it. I will warn you though, I will be charging from here on out, but if you have an awesome product, I might be willing to consider a trade. it looks so so so great! You are amazing. I hope everything gets calm at your house soon. It looks really nice, you did a great job.